On the following pages you can find pictures of some of the animals I met in Japan. 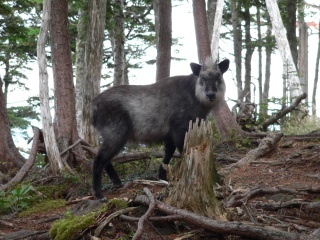 First off on this page you meet the strange-looking mountain goat called Kamoshika, who I met already after about a week in Japan; coming down from Yatsugatake / Agadake. I met them so often and have many pictures. but got a number of nice pictures. crawl, swirl and hum about.